Thematically, Dead Man’s Chest carries right on from Curse of the Black Pearl . The first film is all about Elizabeth and Will’s choosing their paths. Elizabeth chooses a life of adventure over safety; Will nominally chooses a life of piracy over a more respectable career as a blacksmith. “Nominally” because he certainly isn’t a pirate as Dead Man’s Chest begins. He’s living safely in Port Royal and is about to marry the governor’s daughter when Cutler Beckett of the East India Trading Company shows up to squash those plans. For that matter, Elizabeth’s not exactly struggling either, but at least she’s living the life she chose at the end of Black Pearl. It was a brave choice for her considering expectations of women in that time and culture, but still less dangerous than the path that Will claimed to be choosing. Since he’s not a pirate though, her choosing to be with him also loses some of its risk. A disappointing opening. As Dead Man’s Chest progresses though, the situation gets more perilous and complicated for Elizabeth as she learns just where the path that she chose in Black Pearl leads. More on that in a minute. First let’s talk about Will and how the story all but abandons him. At first glance it seems like Dead Man’s Chest is very much about Will. It reveals a lot of information about his father and dedicates a ton of time to showing how Bootstrap’s fate affects Will and his decisions. But by the end of the movie, Will hasn’t actually grown as a character. His motivation at the closing credits is the same as it was at the opening ones: to save the people he cares about (first Elizabeth, then his father). That’s the same motivation he had in the first movie. Once he made the decision to enter a life of piracy (even if he didn’t completely follow through on it), his growth is pretty much done at the end of Black Pearl. Following that, we’re just learning his back-story and watching him complicate the lives of the two characters that actually are experiencing some growth. A quick note about Will before we move on though: He’s easily the most heroic character in the trilogy and we should like him a lot more than we do. However, he has a tendency to glower and brood, and that makes him unpleasant. Even though he’s doing very admirable things, he does them resentfully. He takes everything very seriously and wears his selflessness on his sleeve. Self-conscious martyrdom is never attractive. Also before we move on to the important characters, I feel like I should at least mention Norrington, even though he’s not really growing in Dead Man’s Chest. His motivation is the same that it was in Black Pearl: to advance his naval career. He’s just starting from farther behind in this movie. Still, he becomes more important in At World’s End, so we shouldn’t lose track of him. It’s Jack and Elizabeth who experience real growth in Dead Man’s Chest. I know I described Jack as an unchangeable, Bugs Bunny-like character in Black Pearl, but it’s not quite as simple as that. One of the interesting things about him in Black Pearl was that you were never really sure what he was going to do. He was only out for himself and that made him fickle. That seems like a contradiction in an “unchangeable” character, so let’s pull that apart a little. “Unchangeable” doesn’t have to mean “predictable.” Jack is just predictably unpredictable, if that makes sense. This is in spite of what he tells Barbossa at the end of Black Pearl about dishonest men being predictable. He claims that it’s the honest men whom you never know what they’re going to do. There’s probably some truth to that from a certain point of view. Dishonest men will always do what’s in their best interest, while honest men will surprise you by acting for the benefit of others. But what Jack doesn’t say is that particularly clever dishonest men will find all sorts of surprising ways to get what they want. Which he immediately illustrates by freeing Will and attacking Barbossa. We shouldn’t make the mistake of turning Jack into a hero though. Not in Black Pearl at least. He always acts selfishly in that film; it’s just that his goals tend to align with Will and Elizabeth’s. He’s a good guy by association. And because we like him. That begins to change in Dead Man’s Chest though. Even before the movie’s begun he seems to be changed by his experiences in Black Pearl. He has his ship now and doesn’t know what he wants next. He’s conflicted and it’s messing with him and his crew. He continues to behave selfishly though until the end of the film, after his talk with Elizabeth in which she convinces him that he wants to try being a good man for once. He demonstrates this by giving up his flight from the Pearl and returning to the doomed ship to be with his crew and help them escape the kraken. When he does this though, we also see how much Elizabeth has changed as well. Elizabeth’s barely in the first act of the film, but her character arc through the movie is the most interesting. As Jack is struggling with becoming a better man, Elizabeth wrestles with becoming a worse woman. Her lifelong interest in pirates and the path she chose in Black Pearl are leading her to some dark places. She never truly becomes romantically interested in Jack as a person, but she’s devilishly attracted to what he represents: complete freedom to do whatever she likes. But with complete freedom comes a price. She learns this when she shackles him to the Pearl in order to save herself and the others. Pretty it up however you like, but it’s a selfish thing she does and she knows it. That’s why she’s so upset in the final scene. She doesn’t want to rescue Jack because she loves him; she wants to rescue him in order to undo her mistake in forcing him to die so that she and the others could live. She wants to be able to back up from where her path has taken her. Jack, meanwhile, stays on his new path. When Elizabeth shackles him to the ship, he tries to escape, but he never calls for help. That seems like the instinctive thing for a truly selfish man to do. His crew is easily within earshot and would rescue him in seconds, so the only thing that makes sense is that he’s still being selfless. He wants to be unchained so that he has a fighting chance, but he knows that Elizabeth’s right. It’s even more selfless and heroic than his returning to the Pearl in the first place. What’s going to be interesting about At World’s End is seeing how Elizabeth and Jack continue to change. Or if they both continue to change. I don’t think that both of them do, which is why I’m titling these posts the way I am. As we get closer to On Stranger Tides, I thought it might be interesting to revisit the first three Pirates of the Caribbean films for some context. Though Stranger Tides is the first of three more Pirates movies, reports are that it’s not beginning a new trilogy. Each of the films will stand on its own without directly leading into the next. I’m curious to see how audiences will receive that in comparison to the first set. Most everyone loved Black Pearl , opinions were divided about Dead Man’s Chest , and At World’s End was generally hated. The new films are designed so that each stands or falls on its own. Personally, I like At World’s End a lot, but it took me two or three viewings to figure out what was going on. Or – more accurately – how much I needed to care about everything that was going on. The world of the Pirates movies is so thought-out and complex that by At World’s End there are so many characters with so many unique motivations and agendas that it’s difficult to keep track of them all. Which is why so many people threw their hands up and declared that it wasn’t worth it. I don’t really blame them. When even the jilted love-interest of the female lead in the first movie has become a fully-realized, developing character with his own story arc, some overload is to be expected. The trick is to realize who the protagonists really are and follow her (oops, gave it away) story. Everyone else exists only to support her story, regardless of how interesting and diverting he may be. Jack, I’m looking at you. 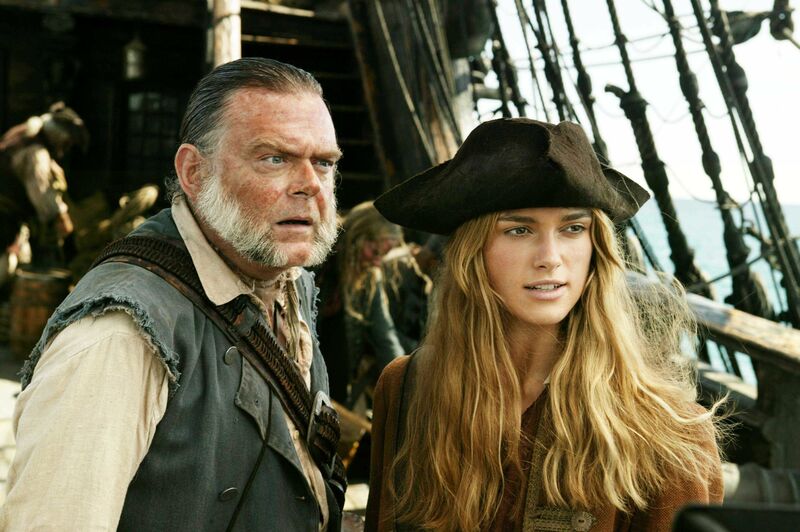 Curse of the Black Pearl opens on Elizabeth Swann and At World’s End closes on her. It’s pretty clear to me that the trilogy is about her. I’m not saying though that seeing the films from that perspective is going to fix everyone’s problems with them. A lot of people simply don’t care for Elizabeth – I don’t understand that, but I acknowledge it’s true – so identifying her as the main character is only going to make those folks less satisfied with the films. 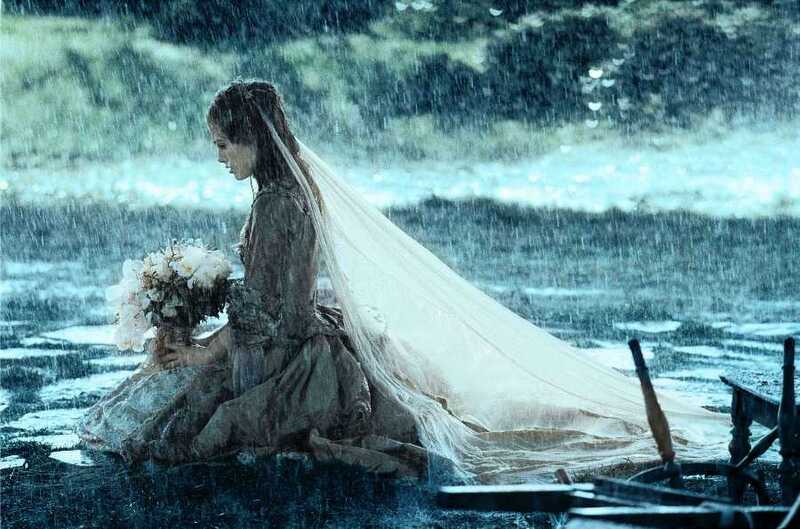 So I’m not trying to defend the first three Pirates films as universally great cinema (even though I think they are); I just say that if they’re going to be criticized, they should be criticized for what they are: Elizabeth Swann movies. Part of the trouble in identifying whose movies these really are is that it’s impossible to tell until the entire trilogy is done. Again, this is because all the characters are so fleshed out that you don’t know who to focus on. Black Pearl’s opening on Elizabeth doesn’t really tell us anything. Harry Potter isn’t about Dumbledore just because he’s the first person to show up onscreen. And even once Black Pearl is finished, you can’t tell that Elizabeth was the primary antagonist. Judging from Black Pearl alone, Pirates of the Caribbean has three main characters: Elizabeth, Will Turner, and Captain Jack Sparrow. They all have their own agendas and at first glance, Elizabeth’s is actually the weakest. Her primary goal throughout the film is to keep Will safe. 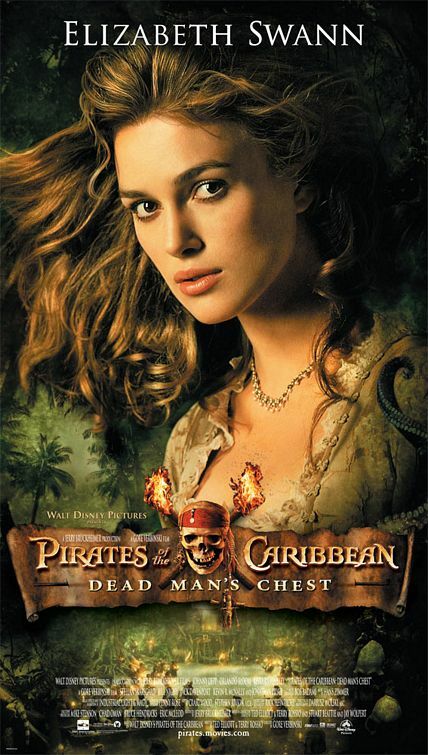 She steals his cursed necklace because she doesn’t want him identified as a pirate by Norrington and her father, then – after a brief diversion in which she seeks to save all of Port Royal from Barbossa’s men – she spends the rest of the movie trying to protect Will from the Black Pearl’s crew. And that’s pretty much all she does. In contrast, Jack – who I’m going to argue is the least important character – seems to have the strongest agenda: reclaiming his ship. Most of the film seems to be about that and even the name of the movie appears to reinforce the idea that this is where we should be keeping our attention. And because Johnny Depp is so freaking charismatic in the role, we certainly want to keep our attention on him. Will lies somewhere in between. His motivation plays exactly the role in the story that it appears to. He’s in love with Elizabeth and wants to rescue her (again making her appear to be a plot device), but that changes as he learns about his father. If we’re only looking at Curse of the Black Pearl, Will is the protagonist. Though his motivation is no more or less strong than Elizabeth’s (both are trying to protect each other) or Jack’s, Will is the only character who appears to grow or change in the course of the film. At least at first look. Elizabeth is a strong, independent character from the first moment we see her and she stays that way throughout. She bucks convention as often as she can. She loves pirates, hates corsets, and never actually consents to marry Norrington. Meanwhile, Jack is Jack. He’s unchangeable and we love it that way. He’s Bugs Bunny. You can drop him into any situation and it instantly becomes more interesting, but there’s no story to be told about him. That would require growth and we like Jack just the way he is when we first meet him. But even though Will is the most overt protagonist in Black Pearl, Elizabeth joins him in a subtle way. The movie talks a lot about choosing paths. Mostly in reference to Will, who chooses to become a pirate at the end, but Elizabeth also chooses a new path for herself. Though she never agrees to marry Norrington and live out the traditional life of an English governor’s daughter, she sure does wait a long time to announce that she’s not going to do that either. She keeps her options open, not because she’s torn about which choice to make, but because what she really wants to do is pretty damn scary. It’s a choice between safety and adventure, and though the repercussions of her decision aren’t as dramatic as Will’s, her choosing to help free Jack and proclaim her love for Will is an important development in her character. Helping to drive that decision is Elizabeth’s discovery of just how powerful she has the potential to be. In Jamaica, her influence is extremely limited, but at sea she’s able to control events in very cool ways, including mounting rescues and leading a crew of pirates into battle. That makes her integral to the theme of piracy-as-freedom. In fact, that central theme – though directly talked about by Jack – is seen most clearly in Elizabeth’s story. So that’s why there are two main characters in Black Pearl. I suppose you could argue that the rest of the trilogy focuses on them equally, but I’m not going to. Instead, I’ll suggest that by the end of Dead Man’s Chest, Will’s starting to drop out of the contest and into a supporting role, even while the movie appears still to be focused on him. But that’s a post for another day.